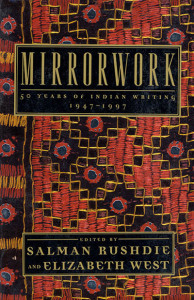 This unique anthology presents thirty-two selections by Indian authors writing in English over the past half-century. Selected by Salman Rushdie and Elizabeth West, these novel excerpts, stories, and memoirs illuminate wonderful writing by authors often overlooked in the West. Chronologically arranged to reveal the development of Indian literature in English, this volume includes works by Jawaharlal Nehru, Nayantara Sahgal, Saadat Hasan Manto, G.V. Desani, Nirad C. Chaudhuri, Kamala Markandaya, Mulk Raj Anand, R.K. Narayan, Ved Mehta, Anita Desai, Ruth Prawer Jhabvala, Satyajit Ray, Salman Rushdie, Padma Perera, Upamanyu Chatterjee, Rohinton Mistry, Bapsi Sidhwa, I. Allan Sealy, Shashi Tharoor, Sara Suleri, Firdaus Kanga, Anjana Appachana, Amit Chaudhuri, Amitav Ghosh, Githa Hariharan, Gita Mehta, Vikram Seth, Vikram Chandra, Ardashir Vakil, Mukul Kesavan, Arundhati Roy, and Kiran Desai.